But is it really as beneficial as they say? 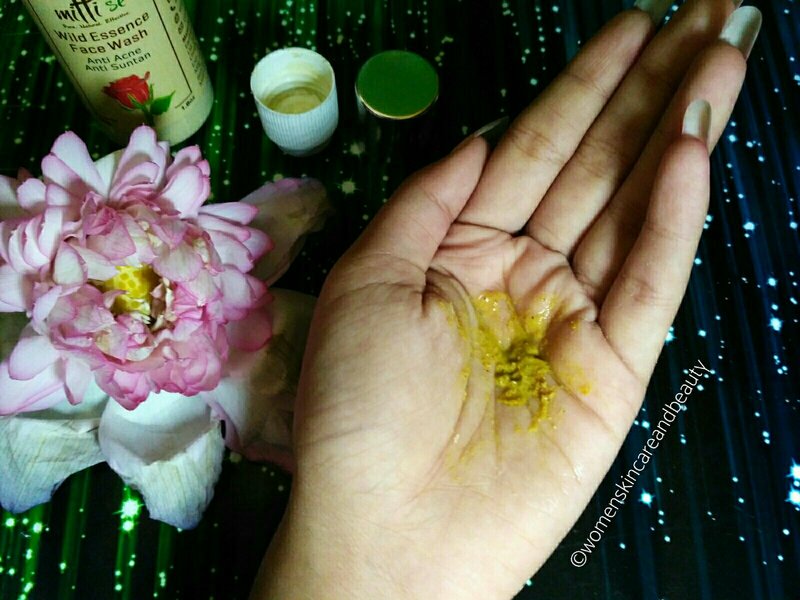 Do organic products really work better than the cosmetic products that the beauty industry offers??? But will they really work as effectively, was always a big question for me!!!! 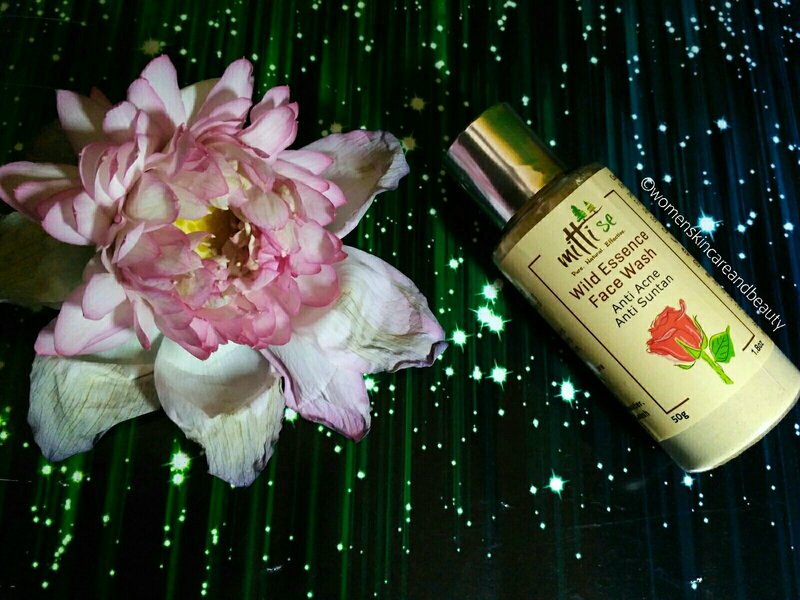 MITTISE WILD ESSENCE FACE WASH, ANTI ACNE, ANTI SUNTAN! 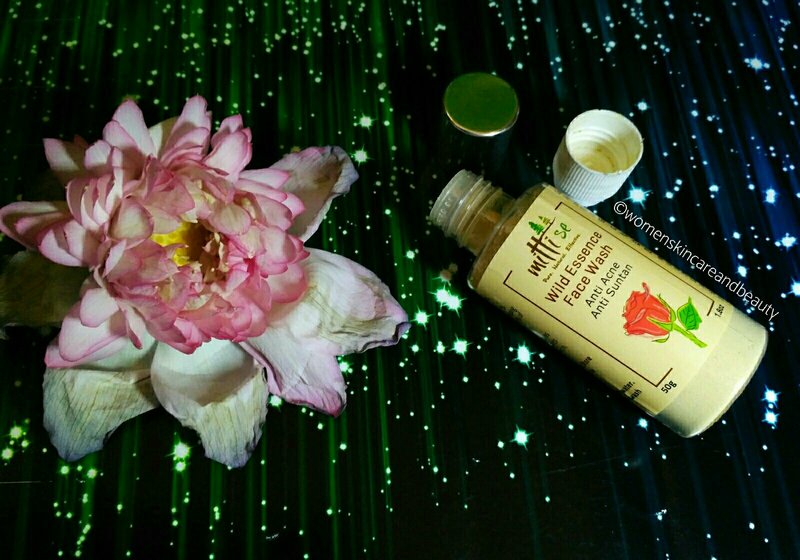 Clears pores, removes fine wrinkles, imparts a uniform complexion, healthy glow. For all skin types. Store in a cool, dark place. 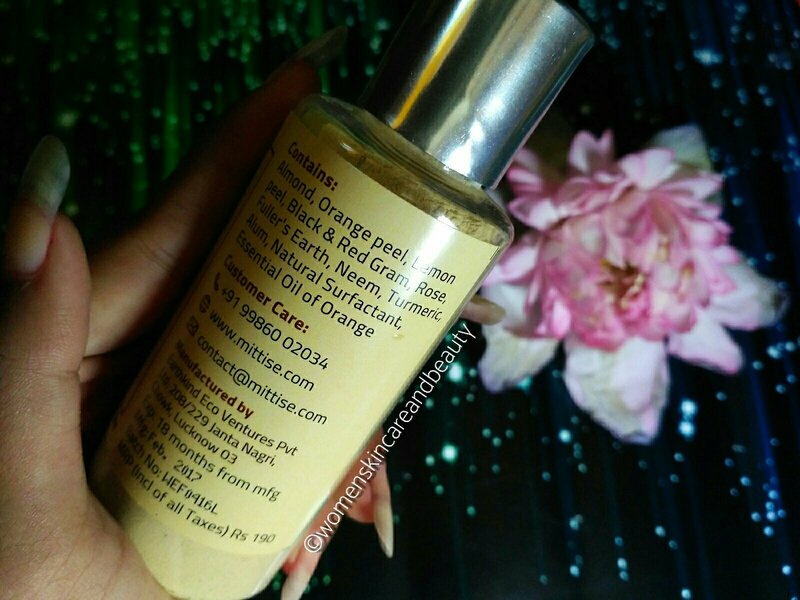 Almond, orange peel, lemon peel, black and red gram, rose, Fuller’s earth, neem, turmeric, alum, natural surfactant, essential oil of orange. Make a paste with water. Use as a daily face wash or as a mask. I simply take about 3/4th teaspoon of the product in a bowl and mix a few drops of water with it to make a thin paste and massage it all over my face and neck.. I leave it on for a couple of minutes before finally washing my face! COST: INR 190 for 50g. I tried 2 to 3 types of Anti Acne face washes, DIY recipes and everything that I could… But none of them really worked.. Even my HG product for pimples, that had been working for me for years, failed altogether! It was then, when I received my order with this face wash.. And thought of giving it a try( just as a cleanser), as I had no guts to use any of my chemical laden face washes(None worked anyways) anymore! Now, all the other symptoms and health issues that I had earlier, persisted… So, I can safely say that the pimples didn’t decrease automatically..
1. Inexpensive and easily available on the Brand’s Instagram page, through order on WhatsApp or on Mitti Se’s website! 2. Removes oil, dirt and grim from face effectively. 3. Doesn’t dry out the skin. 4. Makes skin bright and smooth and improves its texture. 5. Removes fresh tan to a great extent and imparts a healthy glow. 6. Work wonders on acne and blemishes. 7. Suitable for all skin types including sensitive skin. Head over heels in LOVE with this product! like the sound of this product. organic definitely seems to be the new buzzord! The product looks good. I would only want to check on the quality checks that were done coz it is a skin related product. Otherwise looks cool, will share with my friends. That looks like a good and useful facewash.All skin types can use this? I have a lot of freckles and I am always worried about trying new brands. But this seems to work wonders! Would be surely giving this product a try. This looks like a really effective face wash. Haven’t tried this brand. I’m sure I’m going to try this soon. Woah, this seems to work wonders, surely giving this product a try, thanks for sharing! This face wash looks great.. 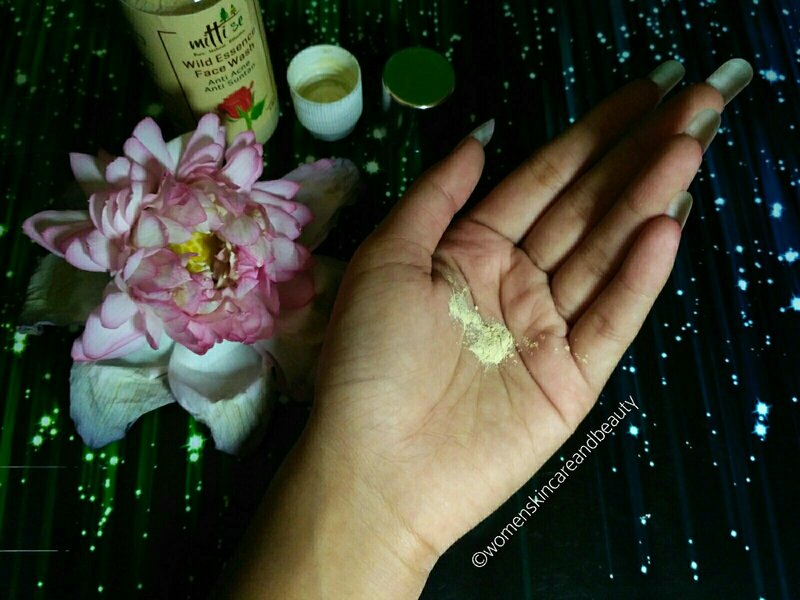 I love the powdered ones..
I’m all for natural remedies and organic skincare, they actually work great. And I’m glad it worked for you as well, I’ll definitely give this product a try. This mittise face wash is looking promising… Will check this out..
My skin gets tanned very quickly with mild sun as well. I would love to use this for anti tan properties that it has. I love this Face Wash from Mittise. It’s really effective..
wish to try this sometime. I use Mittise Aloe Clay cleanser since long. That one is quite effective. Now, I Wish to try this. I have acne prone skin and I would love to try it for me. Thanks for the lovely review. This organic face wash looks very promising and effective one. I like its texture and attractive solid bottle. I like your review as wel and want to give it a try. Heard about this brand but still have to try ..Thanks for bringing. wow i have a weakness for organic products!!! Especially in this chemical filled world its scary to try brands as you don’t know what filled in them!!! Origanic products are always better than cosmetics..